UlstermanBooks.com > Entertainment > “DARK WATERS”, the sequel to “The Writer” Is Available For Pre-Order Now! After receiving an unexpected gift following her college graduation, aspiring journalist Adele Plank returns to the Pacific Northwest’s beautiful and isolated sea and shores landscape of the San Juan Islands, where she soon finds herself immersed in the shocking mystery of a young woman’s brutal murder. The deathly discovery rocks the island community, stirring doubts about their new sheriff, and turning old friends into new rivals. Adele must determine who she can trust, and who she cannot, even as a mysterious stranger provides her a critical clue. 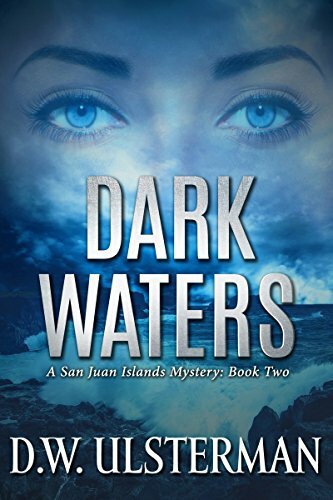 DARK WATERS is the second thrilling installment of the San Juan Islands Mystery series. PAPERBACK VERSION WILL BE AVAILABLE SOON!